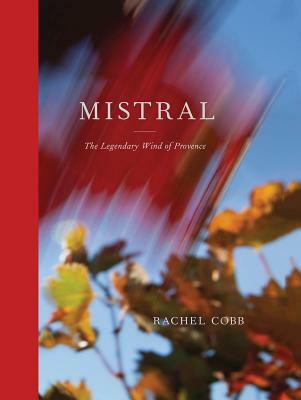 Mistral is a portrait of Provence seen through its legendary wind. Photographer Rachel Cobb illustrates the effects of this relentless wind that funnels down the Rh ne Valley, periodically gusting to 120 km per hour--hurricane strength on the Beaufort wind force scale. Cobb spent years chasing this capricious wind, challenging herself to photograph the invisible. As she became sensitive to its rhythms and effects, Cobb realized the mistral was not just a weather phenomenon; it was an integral part of the fabric of Proven al life. It was everywhere, yet always unseen. Mistral captures this invisible force of nature through its effects: a leaf caught in flight, a bride tangled in her veil, spider webs oriented to withstand the wind and grapes lashed by powerful gusts ("You can taste the wine better when the mistral blows," a Ch teauneuf-du-Pape winemaker says). Writers have also tried their hand at conjuring this ungraspable phenomenon. Excerpts from writings by Paul Auster, Lawrence Durrell, Jean Giono and Fr d ric Mistral are included in this volume, a luminous evocation of nature's unseen power.